Aquatica’s Bathroom Step-In Stool has been architecturally and perfectly designed to be used in any bathroom scheme. Whether you need a step to sit on while drying off after your bath, or a step to help you get in your deep soaking bathtub, this articulately designed step-in bathroom stool is perfect for your bathroom needs. 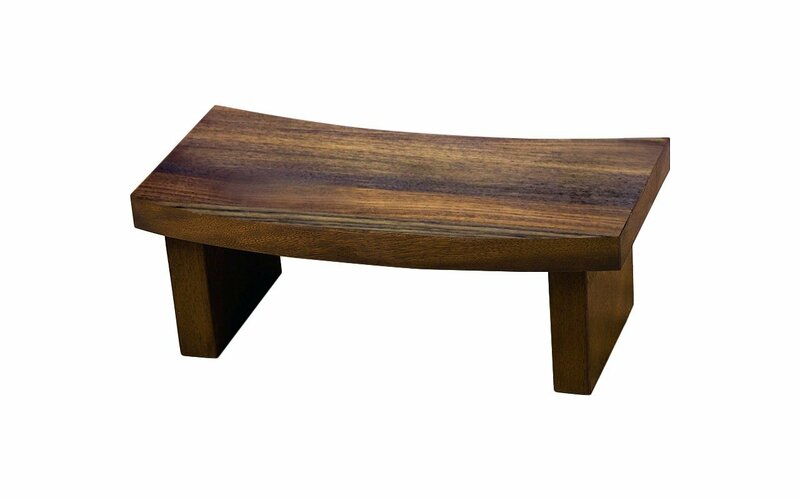 Designed and crafted using a high-quality teak wood, which contains a natural and organic oil making it naturally waterproof. This will aid in the step-in stool not becoming brittle, bent, swollen or cracked from water damage. Aquatica’s Bathroom Step-In Stool has been architecturally and perfectly designed to be used in any bathroom scheme. Whether you need a step to sit on while drying off after your bath, or a step to help you get in your deep soaking bathtub, this articulately designed step-in bathroom stool is perfect for your bathroom needs. 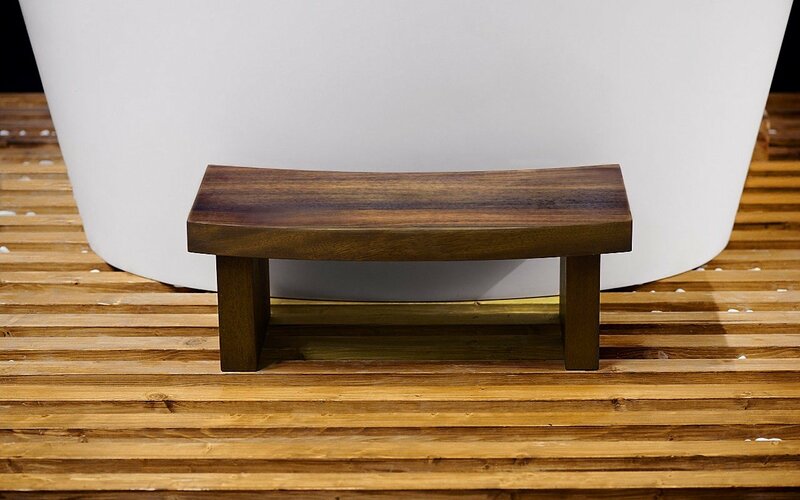 Designed and crafted using a high-quality teak wood, which contains a natural and organic oil making it naturally waterproof. This will aid in the step-in stool not becoming brittle, bent, swollen or cracked from water damage. Like the True Ofuro bath which traces to the venerable tradition of Japanese bathing, this lovely solid teak step has been designed as the perfect addition to your unique bathing experience. The purity of the design reflects its functional heritage. The simplicity of the detailing, the subtly curved top and wonderful grain of the wood combine to create an object of lasting beauty. The origins of the Ofuro step/stool lie in hand-crafted artisanship. 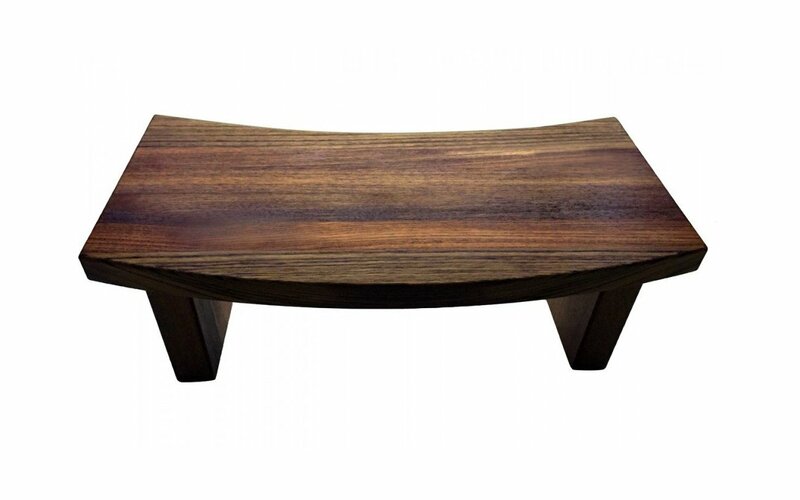 Aquatica has translated this into a stunning, solid teak piece of bathroom furniture that is warm and tactile, with its own organic oil which keeps it waterproof and prevents water damage and cracking. The rich dark wood tones and smooth finish of the wood add a natural earthy touch to your bathroom.